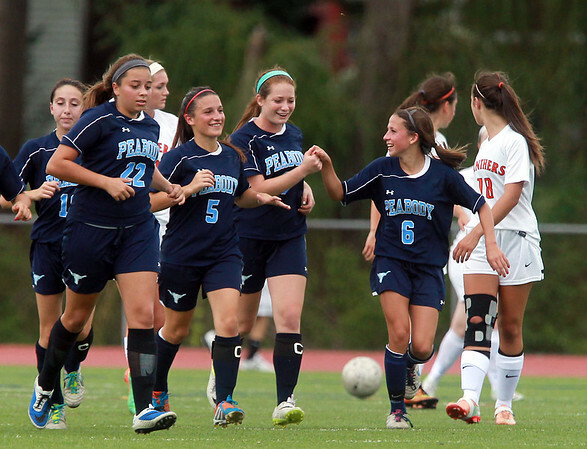 Peabody striker Emily Nelson (6) celebrates her first half goal with her teammates on Thursday afternoon. DAVID LE/Staff photo. 9/11/14.